Savina Cavallo: Why Did I Become a Life Coach? 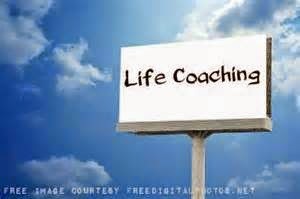 Life coaching is a career that's become very popular in the last decade. There are many schools now that offer training. At one time, a few years ago, I myself was looking into this. Why? I felt I could be a really good coach!! extensive life experience, professional experience, a natural mentor and motivator, and an interested listener. You see, I had been coaching for many years, unofficially. I'd coached my friends, my coworkers. I'd mentored youth at community centers and counseled women in spiritual environments. Yet, I also felt I needed a Life Coach myself. I was going through some rough times then and was honest about needing help to unravel and clarify what I was going to do next with my life. One night, about 7 years ago, I went on the internet searching for coaching schools. I found so many. I looked into some of them...but was even more confused. During my search, I found the website of a coach named Maia Berens. Something about her drew me to read her story. She came through as a woman who had her share of life experiences and challenges, and was totally honest about it! I loved how she projected herself so well through her website. It felt as if we were having a conversation. I immediately emailed her requesting information about coach training. I was totally right about her. After a few short emails, and a phone conversation, I decided this was the life coach I needed!!! Needless to say, the relationship was wonderful. Little did I know this woman would become my mentor in my life coaching career. She had her own training program already developed. 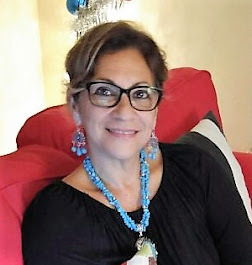 All her life and professional experience were poured into this program, which serves as a self-development course and a coach training program. Maia not only coached me, but she mentored me through the months of deep inner healing, of learning to acknowledge my feelings, of forgiveness. And, great life coaching tools! It has been a very rewarding journey!! Today, I am a YOU University Life Coach. Life Coaching is a calling, a vocation!! To be one, you have to be committed to your own ongoing self-development and to the growth and goals of your clients. If you are searching for a Life Coach training program, I have to recommend YOU University. This is not a sales pitch. Going through the 8-month program has changed my life. Let it change yours!!! Well, I couldn't be happier. You are one great coach and a real live testament to the results of attending YOU University.